Spring and summer rains bring a double rainbow over the Ashokan Reservoir. Ticetonyk, Little Tonshi and Tonshi Mountains form the backdrop for this view. Sunrise with fog on the Ashokan Reservoir. Apple blossoms scent the air. Gazebo overlooking Mount Tremper and the Catskill Mountains. Ashokan Reservoir spilling in Spring. Perfect location to relax in a beautiful and spacious B&B suite or to celebrate an event or wedding. Near Woodstock, Boiceville, Phoenicia and Marbletown. 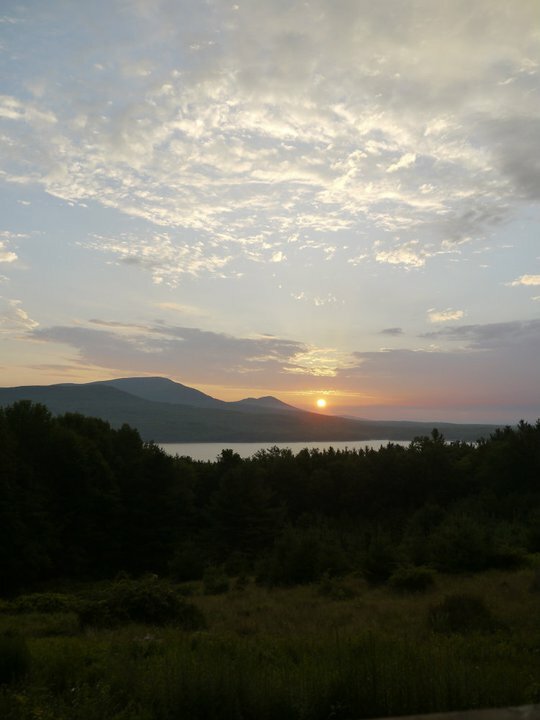 In the heart of the Catskill Mountains, overlooking the Ashokan Reservoir.